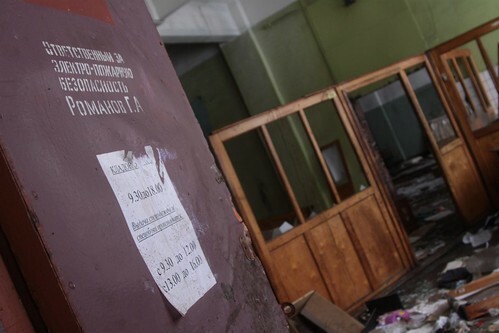 In the English speaking world the practice of exploring tunnels, drains and abandoned buildings is known as urban exploration. Russian speakers have their own term – Диггерство – which translates to ‘digger’. Danger onboard a Russian train, or just free electricity? 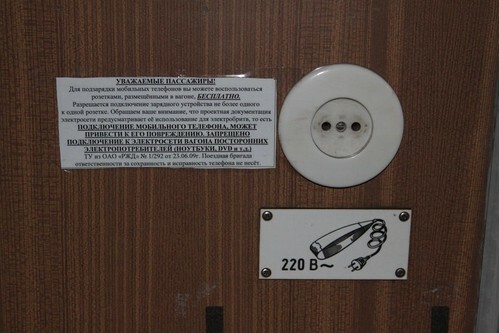 In the hallway of a Russian sleeping train I found this ominous looking sign beside the electrical outlet. Am I allowed to touch it? Is it just for electric shavers? And will it blow up my phone charger if I plug it in?